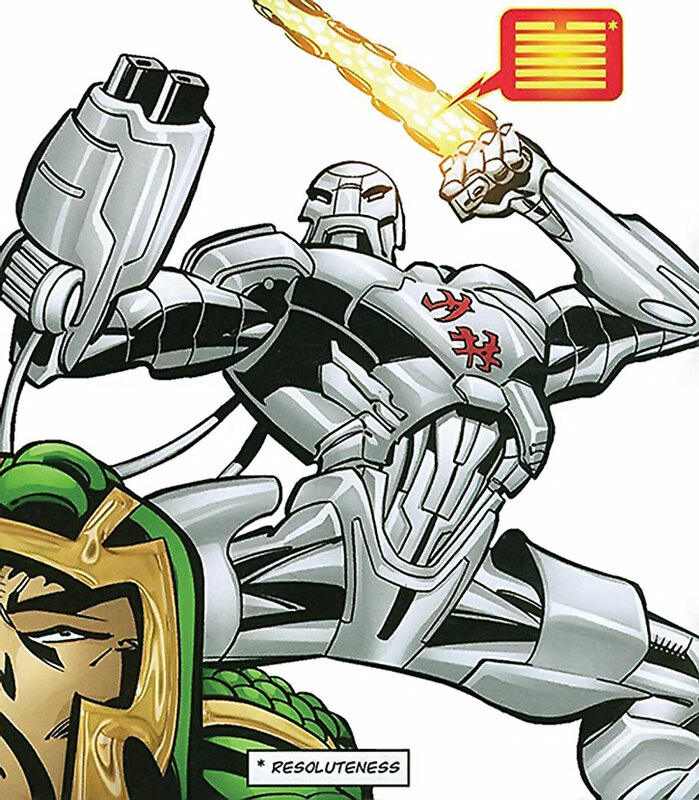 The Shaolin Robot (what a great name) is part of The Great Ten, the superhuman team fielded my the People’s Republic China. 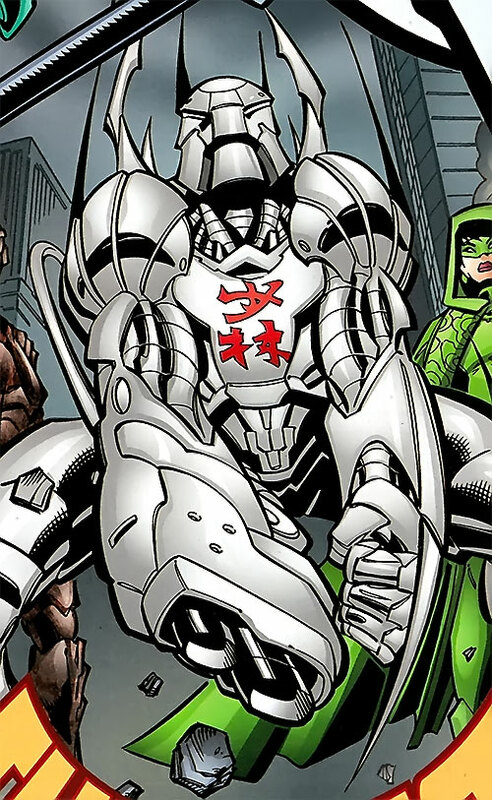 DC Comics introduced this group in 2006, during the New 52 event/series. Unfortunately, the Great Ten found little success on the comic book market and didn’t appear much. But at writeups.org, we think they have potential. Group Affiliation: The Great Ten. Base Of Operations: Great Wall Complex, China. Height: 6’3” Weight: 400 lbs. 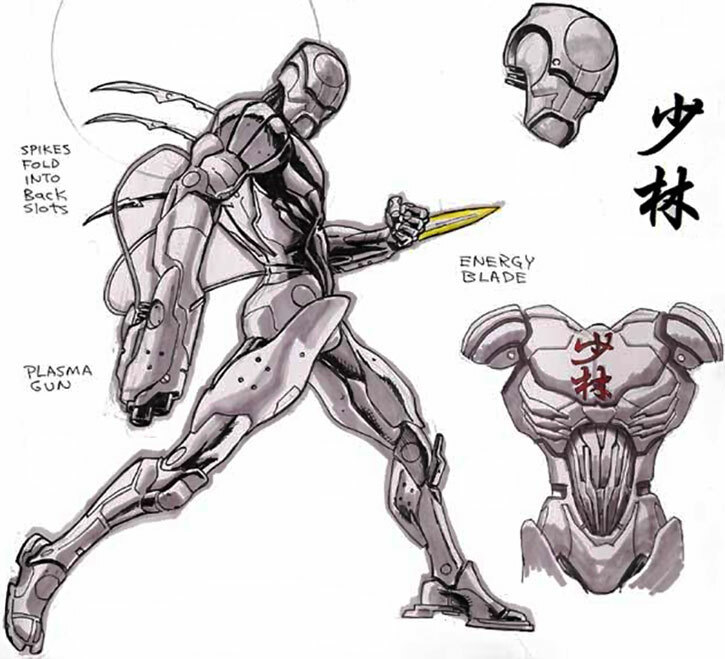 An automaton given a portion of sentience and free will by its creator, the Shaolin Robot was programmed with the combat skills of its time. It has been upgraded since its resurfacing with modern technologies. 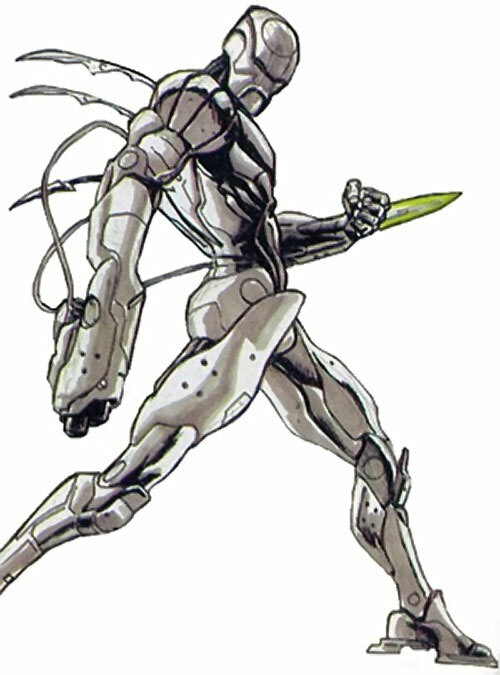 As a result it can fly, project blasts of energy, or produce an energy blade from its fist (Claws). While it can understand and write modern Chinese, it can speak only in I Ching hexagrams . When Qin Shi Huang, the first Emperor , commission his final resting place 2,200 years ago, he also ordered engineer Lao Yuqi to build 8,000 terracotta soldiers to guard him. Lao, having invented a clockwork mind, made a hundred of them automatons, to guard the tomb from grave robbers. Qin Shi Huang died soon after their completion, had left orders that Lao be sealed in with him, so that his genius could never serve another patron. 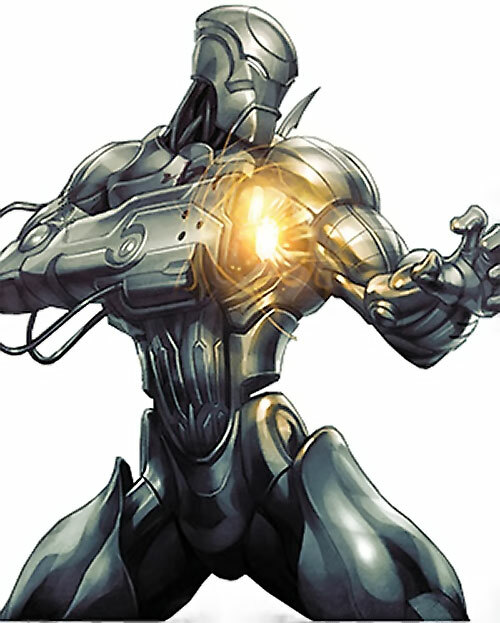 Entombed, all Lao Yuqi could do was reprogram one of the automatons to imbue it with his own insights, values and priorities, giving it a measure of free will. When the tomb was eventually opened by archaeologists in the late 20th Century, the robots were activated, and marched towards the Forbidden City as they’d been programmed to, pushing aside the army that tried to stop them. Only the new super-functionaries, August Captain in Iron and the Socialist Red Guardsman, managed to stop them, destroying them in the process. When the PLA reached the tomb, they found one automaton remaining where it had for millennia, and took it for study. It soon animated, but displayed none of the mindless aggression the others had, and while its language was not one that could be easily understood, it cooperated with them. 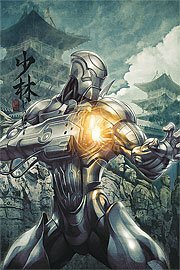 Named the Shaolin Robot, it joined the super-functionaries in serving China, eventually becoming a member of the Great Ten. Loyal to its team mates, and following orders without open questions, the Robot can easily be thought purely an automaton. However, it has exhibited signs of more, seeming to enjoy being with its friends, and offering the occasional insightful written message. Special Credentials (Super-functionary), Languages (Mandarin Chinese), Lightning Reflexes. Misc. (Can only speak in I Ching hexagrams). Writeup completed on the 25th of July, 2010.